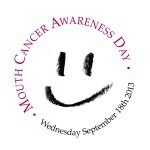 Have your mouth examined by a periodontist this Mouth Cancer Awareness Day! Coming up on September 18th, only 9 days time, Dr Richard Lee Kin will see patients from 9am to 11am by appointment. This is very important issue, and shouldn’t be ignored.